In all my years of gaming, from the NES all the way through our current generation of consoles, there has been a single instance where I actually wore out a controller. It was the purple GameCube controller that came with my console. I put that thing through the wringer with hundreds of hours of Melee, Double Dash, Luigi's Mansion, and Muppet Party Cruise. For whatever reason, I had three or four backup controllers at the ready, so it wasn't an issue then. It is an issue for me now. The PlayStation 4 controller that came with my console -- both arrived to me used rather than new -- is starting to slip, to negatively affect my play. The R3 and L3 buttons now activate with the slightest push, something that can totally ruin a round of Overwatch, the game most likely to blame for the controller's condition. With regular controllers, the only way forward once it does finally go is to replace the whole thing. 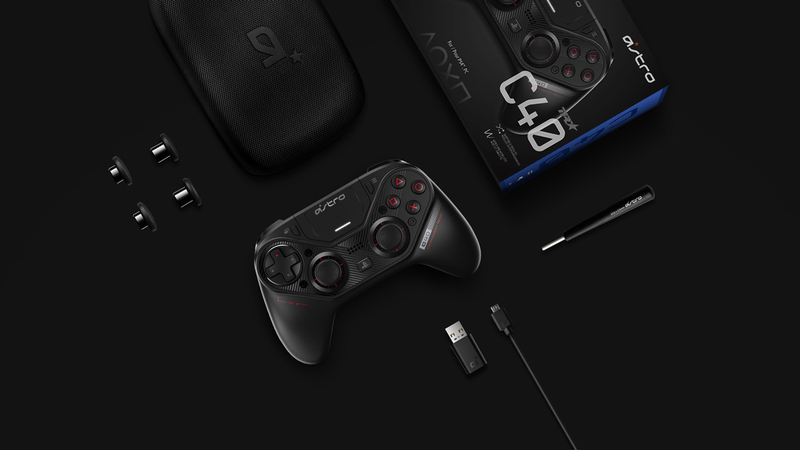 With the Astro Gaming C40 TR Controller, there is a better way, even if it is quite expensive. Astro Gaming is one of the biggest names in video gaming audio hardware, producing headsets of high quality and high asking price. While it does produce mass-market headphones for a reasonable price, its top of the line gear is targeted at professional consumers -- your esports athletes, your streamers. 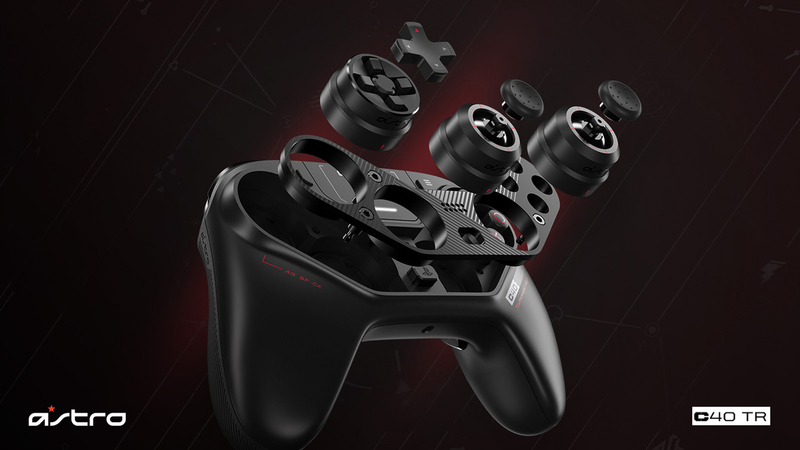 The C40 TR Controller is the company's first foray into the third-party controller space and with its high asking price, it's clearly aiming for that same professional demographic. In my conversation with an Astro Gaming representative, I was told the company studied the wear and tear controllers go through when used for excessive amounts of time and used that information to create this modular controller. Like other elite controllers on the market, the C40 features interchangeable thumbsticks and directional pads. The core unit includes six thumbsticks (two standard size concave sticks, two standard size domed sticks, one tall concave stick, and one tall domed stick) as well as a standard directional pad. It also has two programmable buttons on the rear of the unit, right where your middle finger rests. Unlike other elite controllers, players can switch up the positioning of the thumbsticks to their liking. I've always been a fan of the design of the Xbox 360 controller -- which Astro Gaming designed -- so I immediately took the controller apart and switched the positions of the sticks to match it. Using the tool included with the set, I quickly unscrewed the four screws on the faceplate and swapped the positions of the left stick and directional pad. Because these pieces are not plugged in but rather set in place, I never had a worry I might break something when switching out the pieces. 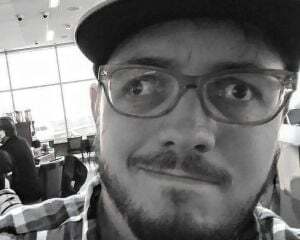 The whole process took all of 90 seconds before I was ready to jump into a game. Not everything on the controller can be switched out. 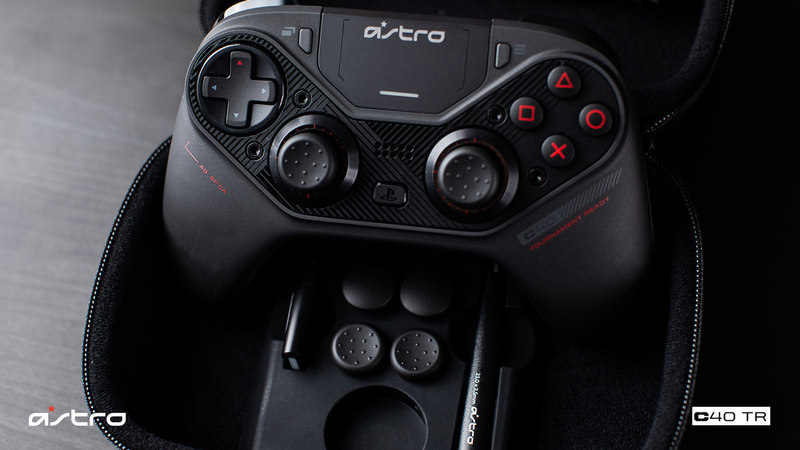 The face buttons, trigger buttons, and back buttons on the controller are not interchangeable, but Astro Gaming is promising they have a 10 million hit cycle. Having used the standard PlayStation 4 controller for the past two years, the weight of the C40 took a bit of getting used to. It's heavier than Sony's unit, and while the button placement is nearly identical to the DualShock, the rear buttons and shape of the L and R triggers have forced me to adjust how I hold a controller. Much like the PowerA Wireless Controller for Switch, I had to be conscious of my middle fingers. After a few days of using it with the default button setting, I decided to dive into the customization options Astro Gaming offers. Plugging the controller into my MacBook Pro, I downloaded the customization software and started messing around with the options. I was able to assign the rear buttons to my liking (though this can be done on the fly as well with just the controller), change up existing buttons functions, dim the LED light, and calibrate the sensitivity of the individual control sticks. The software lets me create multiple control setup profiles, two of which can be uploaded to the controller at a time. A switch at the top of the controller lets me swap between the two on the fly. While I tested the unit out with Spider-Man, Fortnite, and Marvel vs. Capcom 3, I saw the best results from all the customization options in my old go-to of Overwatch. A few updates ago, Blizzard changed the way Tjorbörn and Sombra played, adding the L3 button as a way to destroy their turret and translocator respectively. As I mentioned above, the R3 and L3 buttons on my PS4 controller have started to fail me. With the C40, I've been able to reassign L3 to the back button sitting under my left middle finger. With jump assigned to the right back button, the only time now I have to take my thumb off the right stick is when I want to use one of their special moves. This change for me has made a world of a difference. The back buttons are large and rhombus-shaped, and will activate no matter where you press them. For me, my Sombra game has been taken to the next level. Since configuring my controller, I've had no more accidental incidents of destroying my translocator. I'm able to jump in and out of combat with ease, utilizing the character as intended. Not only have I improved with her, but I've also become a better sniper due to the thumbstick calibration options. Widowmaker and Ana used to be characters I'd rarely touch, but after some fine tuning of the right thumbstick cursor speed, I've become more confident in my abilities with them. I have different set-ups for Sombra and the snipers, so it's a godsend that I can swap between the two control schemes on the fly with the switch at the top. Everything about this controller, from the feel of the buttons and grips to the trigger stops and cleverly designed micro-USB port, is absolutely top of the line. The C40 is the only third-party controller for the PS4 that supports wireless audio, achieved with the USB dongle that comes with the unit, and has a battery life of around 12 hours, though I made it 14 hours on Spider-Man before I had to plug it in again. It's leagues better than the standard PlayStation 4 controller and with its modular design, it's built to last an entire console generation. While I can say without a doubt the CR T40 Controller makes me a better gamer, it's a tough recommendation to anyone who isn't a career gamer or tied at the hip to their console. If you're someone who goes through a controller every few months because you go hard for hours at a time, this is a no brainer. For most people, however, $200 is an exorbitant asking price compared to a standard PS4 controller. Then again, can you really put a price on being able to switch between parallel and offset thumbsticks whenever you want?